The table item is for sale. 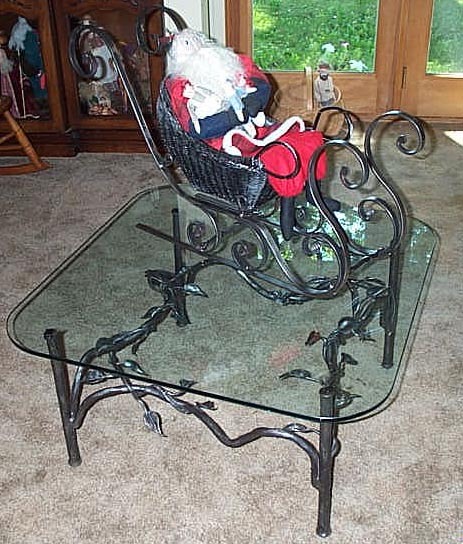 It is made from forged steel with a glass top. The top is 36" square with rounded corners and a pencil polish edge. Similar tables can be ordered to include your design wishes. Email for info on similar projects.